Hey guys! So am I getting ready to replace my 2006 F4i starter! I tried searching on youtube for videos and had no luck. So I decided to look over the manual and still no luck. 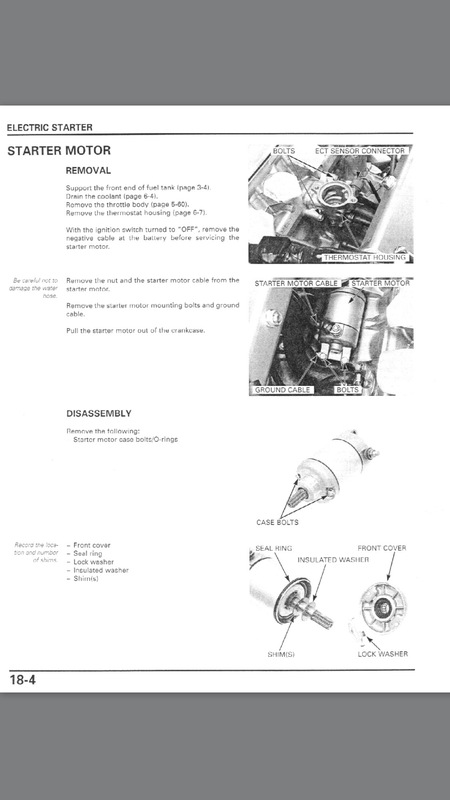 I was wondering if anyone here has any experience of removing and replacing their starter (not STATOR) motor? How difficult is it? I use to work on cars and I have taken my motorcycle apart (some). Yes I have done it a couple times, it is fairly easy just a little annoying to do. The hardest part is making room to take it out, there is a lot of hoses crammed in there. There's a rubber boot around the connection you simply slide them off to expose the nut. Once you take the mounting bolts out, to pull out of the crankcase you simply slide the starter motor out of the slot, inwards towards the center of the bike. It may be a little stiff, make sure you pull it straight. I had a little trouble slipping mine out so I very gently tapped it from the stator side and it popped out rl easy.